The Developer 30 Under 30 Award highlights Canada’s top young development talent and technical innovators. Indellient Inc. is the home for one of the finalists on the list. Aesees Kaur was interviewed by Indellient on June 20th, 2018 on her accomplishment. Listen to the interview here. 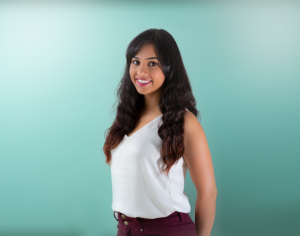 Oakville, ON – June 19, 2018 – Aesees Kaur, Technical Lead and Software Developer at Indellient Inc. – a technology solutions and professional services firm that empowers businesses to meet and exceed their critical business and technology objectives – has won a coveted Developer 30 Under 30 Award. This award recognizes 30 young developers who help companies innovate and positively impact the world around them. Aesees Kaur, Software Developer at Indellient, pictured for the 30 under 30 Award. Aesees Kaur, who has been with Indellient for six years now, is one of 30 finalists who has secured a spot on the list, beating out over 500 applicants across the country. The application process included being nominated for consideration, as well as three rounds of questioning. “I was absolutely floored to have been nominated, let alone make it into the winning class of 2018. I couldn’t have done it without my Indellient team – they are the backbone in everything I do. Indellient has given me never-ending opportunities to excel and grow, from a new grad to where my career is today,” says Aesees. As an added bonus, Aesees helps move the dial by representing the few female developers on the list (this year, 1/3 of the winners are females) and is an inspiration to young women in STEM positions. Aesees was honored at an awards ceremony in Toronto on June 14, 2018. See the full list of the 30 under 30 here. Aesees is currently the technical lead on one of Indellient’s larger accounts, the IBM Professional Certification Program. Together with her team, they use their expertise in IBM Cloud to build modern applications that leverage Docker, IBM dB2, K8S, IBM’s continuous delivery platform and more. These applications form the backbone for the IBM Certification Program and the services it provides.